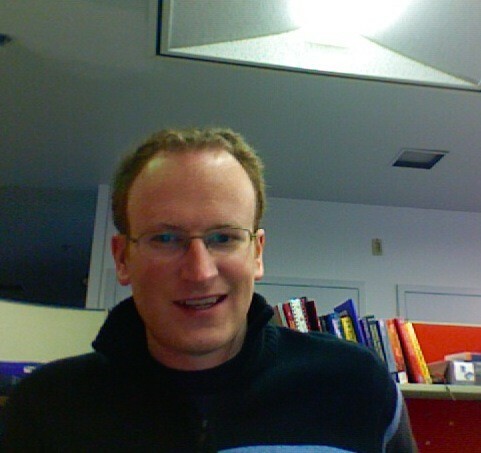 theWatt was started by Ben Kenney with an overall goal of stimulating discussion about energy. It started off as a blog but has evolved primarily into a podcast (more about the podcast). 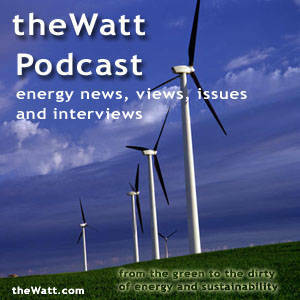 Any type of energy discussion is welcome at theWatt, be it about fossil fuels or renewables, energy policy or sustainability. I believe that future energy production will be diversified with roles for every fossil fuel as well as every renewable, and that technologies which improve the total life-cycle efficiency of the conversion from fuel to usable energy will be used. I also believe that we have the know-how, technology and smarts today to live progressive lifestyles in a time when fossil fuels become too expensive. The hope is that the discussions here will lead to understanding of how to use energy more efficiently so that our valuable energy resources and our way of life becomes more sustainable. I think it's important to make the discussion understandable not only to the so-called environmentalists, but also to money hungry business types. For example, I do not believe in conservation or living a green lifestyle, and neither does Lee Raymond. I only believe in efficiency, and so should Lee. The end result is the same, the wording is completely different. Whether lawmakers know it or not, the definition of efficiency is what makes energy policy so difficult. Efficiency should cover the entire life-cycle of a system, including fabrication, use and its end of life. It's not clear (to me at least) that a hybrid car getting 60mpg is more efficient than a diesel car getting 45mpg, or that purchasing a compact fluorescent light bulb is more efficient than keeping the old incandescent light bulb (turns out CFLs are better if they last longer than 50hrs). I think that answers to these types of questions are required immediately. Some things are clear though. To name a few: 1) Sustainable exponential growth is impossible 2) CO2 is a greenhouse gas, 3) in the span of 200 years we will have emitted hundreds of thousands of years worth of carbon into the atmosphere, this time scale is the problem 4) it is more efficient to ride a bike than to drive a car. I think that the future will see a shift from heat engines to electrochemical power conversion. My current stance on climate change: It's indisputable that CO2 is a greenhouse gas and a pollutant and that the time scale of releasing hundreds of thousands of years of carbon into the atmosphere within hundreds of years is a problem. The climate models which are able to distinguish between natural and man-made average temperature changes have so far been able to predict temperature fluctuations, and I believe them. Contact: ben at the watt dot com, or through this form, they both go to the same place.